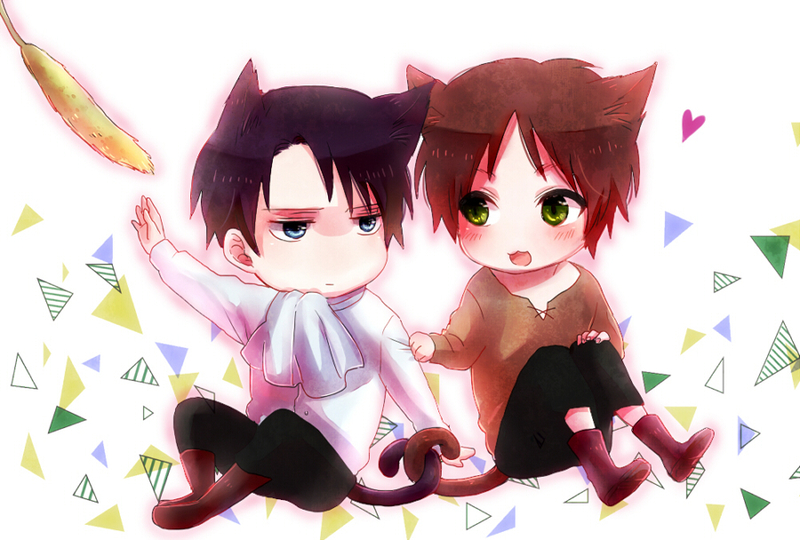 Kawaii Ereri. . HD Wallpaper and background images in the Ataque a los titanes club tagged: photo attack on titan shingeki no kyojin snk chibi kawaii levi eren rivaille neko. What have tu done, Eren?